One way to make sure you are not watering too much is to first check the soil with your finger. It's so easy to over water, especially when one doesn't use ways to check if plant needs water. I press my finger into the soil first to make sure they are hydrated before I add water. In winter, plants dry out faster because heat impacts the moisture in soil so if I have to guess, I water. The second trick I use is very simple. 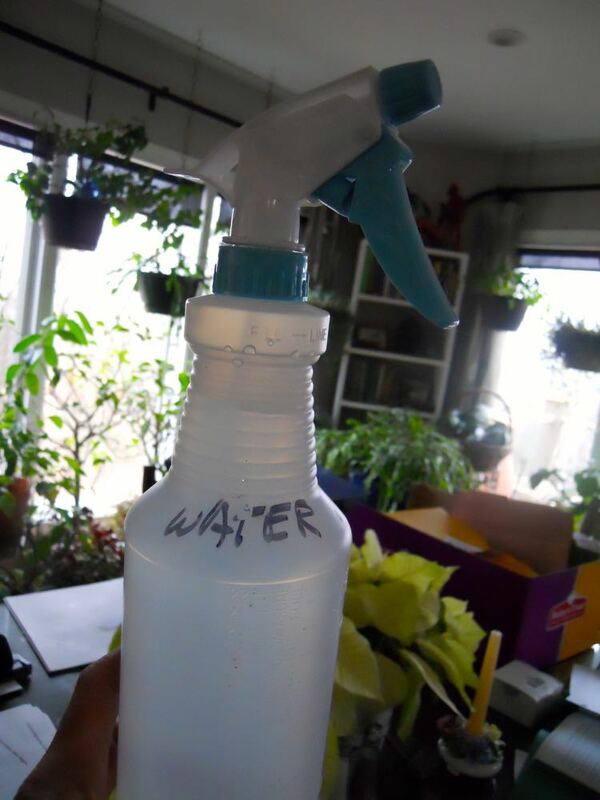 Using a spray bottle to water ensures you don't give your plants too much water. I use a spray bottle. It is an easier way to make sure I am not watering too much and I also use that method in summer. Plants not only enjoy the misting but watering them with a spray bottle better controls the amount of water added. Now I still give my plants a good drink every few days to make sure the roots are nicely wet but using a spray bottle should help you better moderate how much water you add. When you pot your plants, also consider punching holes in the sides of a used water bottle and place it low in the pot so you can mound soil up around it. Once settled in, you can fill up the bottle with water and the holes will make sure the soil towards the bottom of the pot, where the roots are, also gets moisture. One of the old water bottles with punctured holes in one of my inside flower pots. There's another way to measure moisture but I'm not sure how well this works. 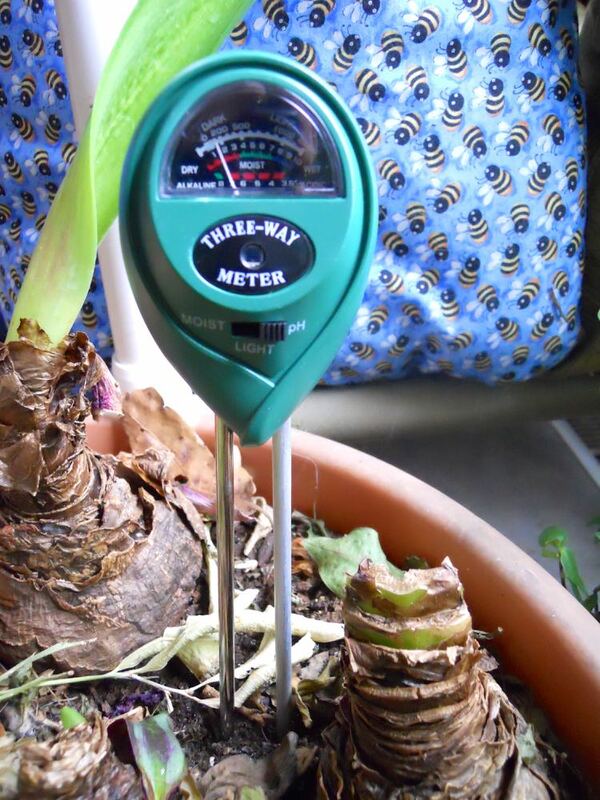 This is a meter that supposedly tells you if your plants have enough water or not. I am trying it out this winter in my potted plants but I am sure it won't work outside in the ground. This moisture, ph and light meter is supposed to help grow better plants, testing it now. 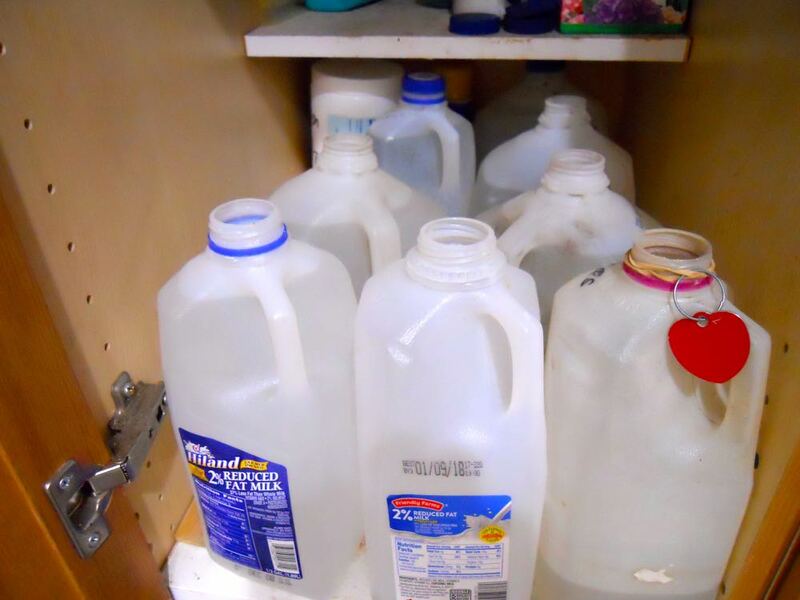 Use old milk bottles to hold tap water for a day or two so added chemicals can dissipate. I also recycle milk bottles to hold tap water for a couple of days. Tap water has added fluoride that should be evaporated before you add tap water to plants. Don't keep a lid on the milk bottles or you won't let the fumes evaporate. Also in winter, use room temperature water so saving them in milk jugs provides that. If you water plants with cold tap water you are bound to kill the plants by shocking the roots, most inside plants are tropical plants and are used to warm water. I also save rain water in spring and summer for my plants in these jugs, they love the rain water. Frankly use the spray bottle and get used to checking the plant soil before you add water should work just fine. Let me know how this works for you! Are Peonies Good Cut Flowers?